Beautiful Young Girl Stands Among Flower Fields. A Teenage Girl In A Coat Walks Along The Hyacinth Violet Blossoming Fields. Youth And Spring Concept. Top View. Lizenzfreie Fotos, Bilder Und Stock Fotografie. Image 99953272. Standard-Bild - Beautiful young girl stands among flower fields. 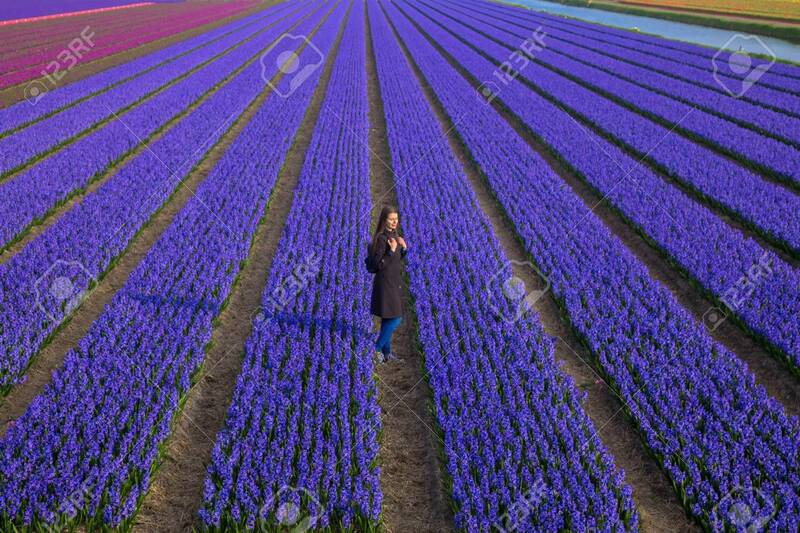 A teenage girl in a coat walks along the hyacinth violet blossoming fields. Youth and spring concept. Top view. Beautiful young girl stands among flower fields. A teenage girl in a coat walks along the hyacinth violet blossoming fields. Youth and spring concept. Top view.